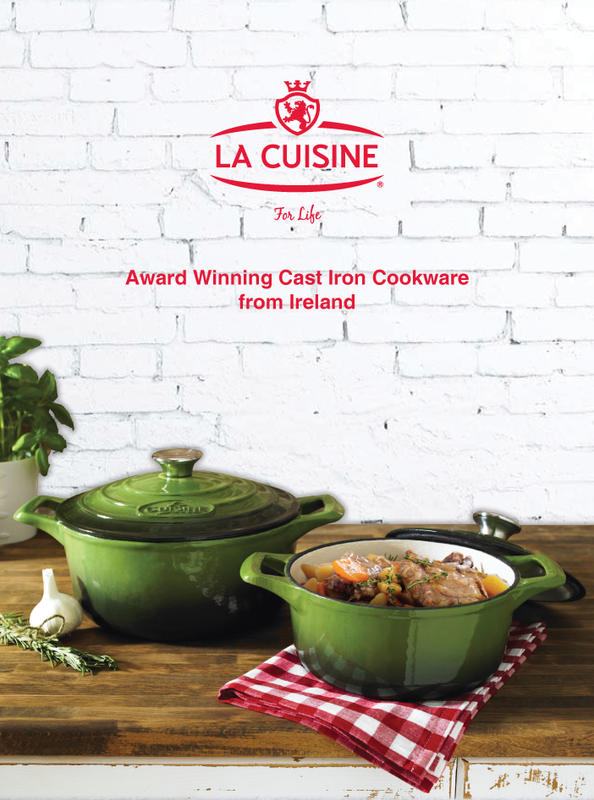 La Cuisine was designed in Ireland by Marcus Notley, a leading specialist in luxury consumer product design for the home. Marcus has worked closely with a variety of established brand specialists and manufacturers in both Europe and the US and his designs are sold internationally. 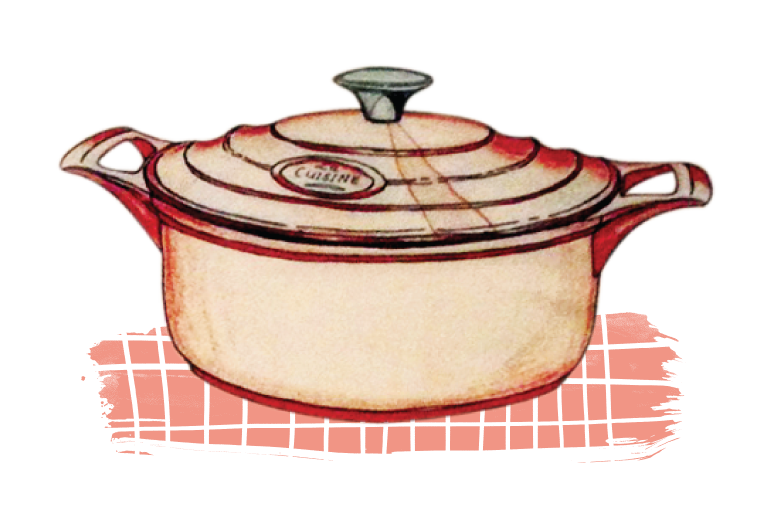 Marcus developed La Cuisine’s patented unique wide-angle wedge profile handle. These allow four fingers to pass through guarantee a stable grip. This award winning range has received a number of awards including the overall winner of the ‘Best New Kitchen Product at the RDS’ ‘Autumn Gift & Home show’ in Ireland. Ridges on lids collect steam droplets and disperse back into food. Food stays moist. Stainless steel knobs provide stable and comfortable grip. We use the latest technology in cast iron and have moved production away from traditional ﬂoor-casted processes in favour of the ultra- reliable Disa production technique. This method, which originated in Denmark, involves the use of sand moulds and results in exceptionally smooth castings. The moulds are used only once, meaning that every single item is unique. Our tiered lid design, the ridges collect steam droplets and causes them to gather, drop and disperse back into the food being cooked. This ensures that food stays moist and enhances the flavour. As tough as it can be! With new black enamel coating technology developed in Japan, our new PRO series is the ultimate range of cast iron cookware. 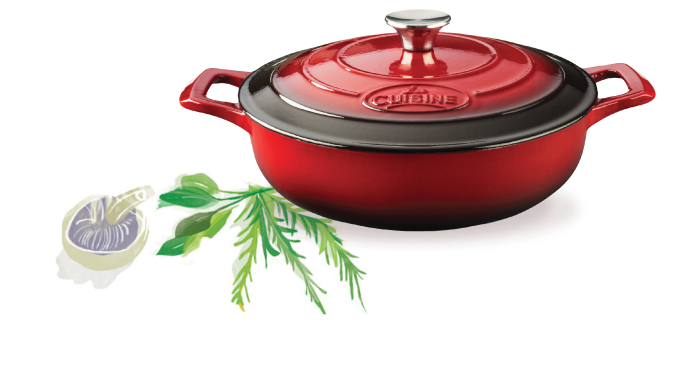 Stain and scratch- resistant, the pans have textured enameled interiors which promote browning and searing. With all the benefits of the standard range, PRO is even better for high surface cooking and searing. 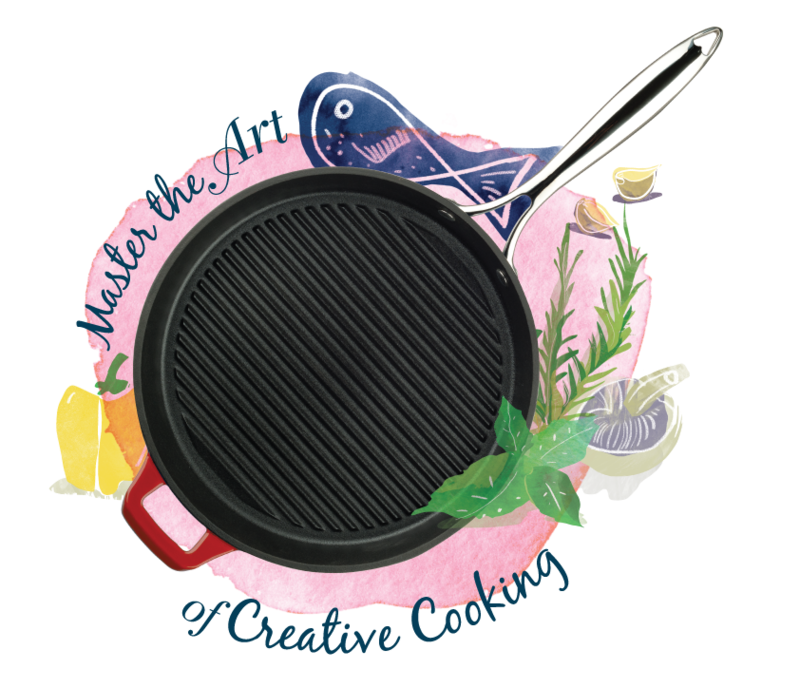 Whether you are a professional chef or not, La Cuisine PRO is everything you could wish for!